Today we are going to explore a yacht shipyard: where luxury boats are born. There are many shipyards that manufacture luxury yachts in different sizes and styles. We have selected a few of them that stand out for the importance and beauty of their products. Let’s find out which ones. Are you looking for a yacht shipyard? Enjoy this list. Click on the logo of the shipyard for discover website. The Riva shipyard boasts a long history that began by Lake Iseo in 1842. A history of craftsmanship handed down from father to son, from the speedboats in the ‘20s and ‘30s up to Carlo Riva who transformed the creations of the family shipyards into true objects of desire for the luxury market. The legendary Aquarama, Riva’s product par excellence, was born in 1962. The Aquarama was showcased at the third International Boat Show in Milan and immediately became Riva’s distinctive product, some sort of brand within the brand, the symbol of the “dolce vita” (the expression “dolce vita” literally means “sweet life” and refers to the period from the late ‘50s to the early ‘60s in Italy). Style and refinement distinguish Riva’s products to this day. Riva’s new projects are focused on 50-metre yachts, called “Superyacht division”, which were presented in Montecarlo last September. It’s a fleet of light alloy luxury yachts with displacement hull that are entirely customisable by the shipowner. Two lines are going to be created from the same substructure: the first one is going to be inspired by the history of Riva’s shipyard and its masterpieces of boat building, while the second one is going to have more of a sporty personality. Another excellence labelled “Made in Italy” is Azimut Shipyards, born from young Paolo Vitelli’s flair in 1969. Azimut was born as sailboat rental, but it soon widened its range and began designing and distributing new yachts, including a fibreglass boat that was an instant success. The company acquired in 1985 the historical Benetti Shipyards based in Viareggio, Tuscany, thus extended its product range to mega yachts. Nowadays, Azimut Shipyards is focused on technological innovation applied to the series production of luxury yachts, while paying particular attention to searching innovative and high-performing materials. One of this year’s latest products is the new Azimut S6, which was showcased in Cannes for the first time ever. It’s a sporty yet elegant 18-metre yacht, where carbon is the star of the show and the attention to interior design makes the S6 the perfect union of elegance and technological research. 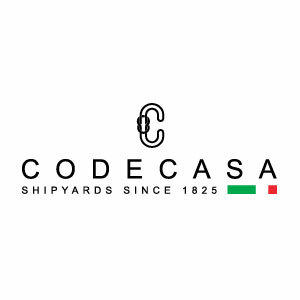 Shipwright Giovanni Battista Codecasa established the homonymous shipyards in Viareggio, Tuscany in 1825. Run to this day by the descendants of the founder, the Codecasa group mainly manufactures 30 to 70-metre steel and light alloy luxury yachts, as well as a selection of high-speed vessels made entirely of light alloy that includes 35 to 50-metre yachts. World-renowned for its luxury yachts, the fleet preserves to this day its classical, sophisticated and timeless style, as can be seen from the new prototype Codecasa 55, a completely customisable four-decked yacht. The exterior is characterised by the rigorous lines typical of the Codecasa Shipyards’ tradition, while the interior is comfortable and well-lit thanks to the large windows on the deck. 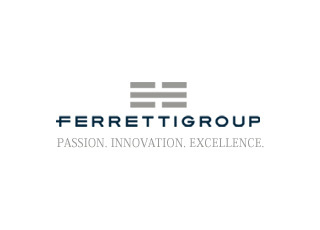 Born in 1968, the Ferretti Group has always searched for product excellence and innovation. Ferretti offers a wide selection of 45 to 96-foot luxury yachts that perfectly combines performance, comfort and aesthetics. Comfort, elegance and performance always go with cutting-edge technical solutions that have literally revolutionised the world of yachting, such as the centre-pivot window between the saloon and the cockpit or, to mention one of the technical solutions introduced by Ferretti, the steer-by-wire active guidance systems. The latest products showcased by Ferretti in Cannes included the new yacht 670, that was given the “Best Layout Trophy” award for the category S2 – 80 feet. A three-decked yacht characterised by elegant and modern lines, where even the interior is made down to the last detail for a unique sailing experience. Inside the boat nothing is left to chance, including the indoor lighting system with recessed spotlights (read benefits of track lighting). Monte Carlo Yachts is a project born in Monfalcone (Gorizia, Friuli Venezia Giulia) in 2008 with the ambition of redefining the concept of luxury by reconnecting it to time and well-being in general. Over the past ten years, the group has developed a selection of charming and iconic models resulting from the collaboration between Monte Carlo Yachts and the design studio Nuvolari Lenard, which has given birth to a concept that is one of a kind. This year’s latest product is the yacht MCY 96. This 30-metre luxury yacht is the second largest yacht produced by Monte Carlo Yachts and has received numerous international awards. 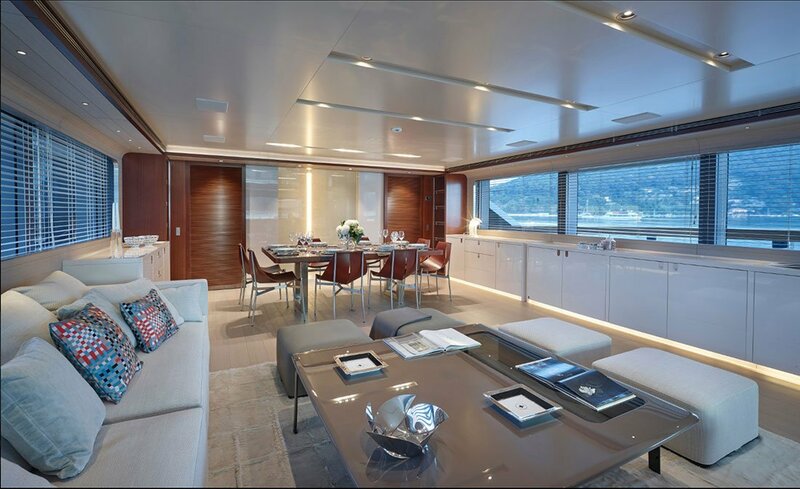 Especially designed and manufactured for long sea voyages under current legislation, this yacht amazes with its large indoor spaces that hold the master cabin on the main deck and four guest cabins on the lower deck. 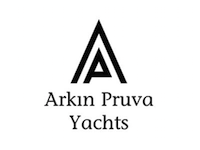 The Austin Parker shipyards headquartered in Pisa, Tuscany stand out for their production inspired by the traditional recreational lobster boats, the workboats used by Maine fishermen. An appreciated vintage style was thus born in Italy in the early ‘90s. It was also much appreciated by shipowners for its sturdiness, robustness and reliability. A timeless style that allowed the Austin Parker shipyards to stand out, also thanks to architect Fulvio De Simoni’s contribution to the project. At the moment, their selection consists of seven different models that range from 36 to 72 feet. The 48 Sundek is one of the latest ones: the exterior is influenced by Austin Parker’s signature line, while the interior highlights the modernity of a luxury yacht. The story of the Baglietto shipyards began in Varazze (Savona, Liguria) in 1840, when Pietro Baglietto set up his first shipyard in a shack by a vegetable garden. He started manufacturing small fishing boat hulls and later moved on to yachting. Over the years, the Baglietto shipyards’ production shifted from competition boats, to wooden boats, up to superyachts starting from the early ‘90s. The newest member of the large Baglietto fleet is the Silver Fox, a four-decked 44-metre yacht that holds up to 12 people and 9 crew members. Because of its noteworthy size and its clean and elegant lines, as well as the beauty and refinement of its interior, the Silver Fox is a fully-fledged luxury superyacht. 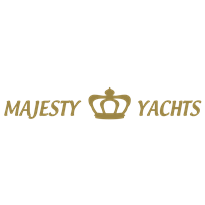 The Majesty Yachts shipyards have operated for over 35 years in the United Arab Emirates and they mainly manufacture superyachts that highlight both inside and outside the beauty and luxury of these large vessels. Resulting from a perfect balance between handicraft skills and technological research, the Majesty Yachts fleet can meet the needs of any shipowner. The fleet includes the Superyacht collection, dedicated to very large vessels. The most significant piece of the collection is definitely the Majesty 155, which was nominated “ Best Asian-Built Yacht” of 2017 at the Asia Boating Awards. This 47-metre yacht offers unparalleled luxury both inside and outside, from the majestic fountain on the sundeck surrounded by a large living area, to the waterfall on the back of the sundeck, to the hot tub on the lower deck. The Sun Seeker shipyards were born in 1969 in Poole, England, where Robert Brainthwaite, the founder, dreamt of building a new type of craft by using cutting-edge materials and technologies. 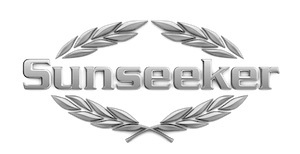 Nowadays, Sun Seeker manufactures gorgeous and dreamlike luxury yachts that range from 52 to 161 feet. Among these, the 161-foot yacht is the newest member of the Sun Seeker fleet, a true floating palace. The vessel is so large that interior space usage can be compared to that of a house, with the sea in the background. The Princess Yachts shipyards have produced magnificent different-sized luxury yachts, ranging from 20 to 40 metres, in Plymouth, England since 1965. Their boats are handcrafted and boast a sporty and sleek line, while remaining very elegant. Attention to detail is of primary importance, both inside and outside. The large Princess Yachts fleet was recently joined by the new project R35, a 35-foot yacht with an attractive design, also fast and efficient thanks to its outer profile. A further strong point of this new yacht is its peculiar camouflage paint that lends the R35 an unprecedented appeal. The Sanlorenzo shipyard in La Spezia, Liguria is considered the boat “boutique” since 1958. The Sanlorenzo shipyard’s production is artisanal and limited. The vessels are built according to the requests and needs of the single shipowners in order to make every yacht one of a kind. For 17 years this shipyard headquartered in Liechtenstein has designed and manufactured charming crafts that have received countless international awards, such as the “Best Layout” award at the World Yacht Trophy in Cannes. Their yachts range from 24 to 38 metres and are all produced with innovative materials that result in clean and modern lines. The Heesen shipyards were founded 40 years ago in Oss, Holland and are specialised in the production of steel and aluminium vessels. Four new 50-metre models were released in 2018 and are characterised by sporty lines on the outside and elegance and luxury on the inside. Ocean Alexander was established in Taiwan in 1977 and is specialised in the production of mega yachts. Thanks to its modern and attractive lines, the Ocean Alexander fleet can meet the needs of the shipowners who search for luxury, with vessels that range from 20 to 40 metres. The Wally Yachts shipyards were founded in Monaco in 1994 and combine technological innovation with contemporary design by searching the perfect union of performance in water, comfort and style. The large Wally fleet also includes a line of semi-custom mega yachts, Wallyace, which features luxury crafts ranging from 27 to 43 metres. This Dutch shipyard was established in 1963 and offers semi-custom and full-custom luxury vessels in order to meet the needs of any shipowner as far as customisation is concerned, both inside and outside. The yachts are 28 to 45 metres long and are characterised by classical lines and meticulous attention to detail, both inside and outside. Alloy Yachts was born in the early ‘80s when a group of New Zealand shipwrights had an ambitious project: build a 28-metre aluminium yacht. In two years’ time, it became a world-renowned institution in the field of luxury yacht production. Specialised in the manufacturing of aluminium yachts, within the Alloy fleet the yacht AY 38 Tats stands out, a very luxurious vessel as far as both the outer line and the interior equipment are concerned. Born in Viareggio, Tuscany in 2007 as a natural continuation of the Rossi Brothers’ shipyard, Rossinavi is specialised in the production of large luxury crafts. The ambitious projects of the yachts that are going to be launched in 2020 are characterised by sleek and sporty lines and attention to interior design, in search of luxury and excellence. An example is the Vector 50, a 50-metre vessel with a sophisticated design and, at the same time, the ergonomics of a displacement boat. Do you wish to know more about luxury yachts? Here are further ideas to help you find your dream yacht. Click on the name of shipyard for discover website.